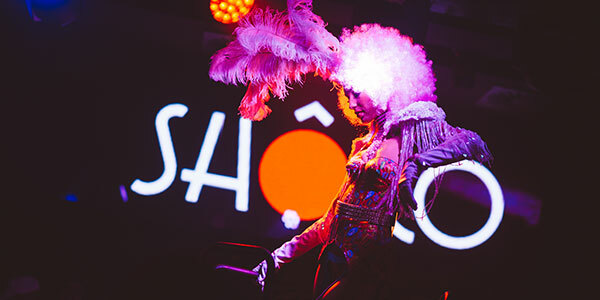 Shoko Barcelona: Information, promotions & guest list. Enjoy the most exclusive atmosphere booking a vip table at Shoko Barcelona . You will enjoy a place more private and not have to worry about queues or crowds of people. Free entry or discount to access to Shoko Barcelona. Do not pay more than others to enter at Shoko Barcelona! Shôko Barcelona, one of the best places on the beach in Barcelona. Come and enjoy the best atmosphere and enjoy our discounts and exclusive invitations. The parties in Shôko are famous for their originality and theme nights. It's the official place for the best parties in town with a history of after parties for concerts like Madonna, Elton John, Cold Play, The Killers, AC/DC, Lady Gaga, Bread & Butter, 080, Ed Hardy, G Star & Diesel and premiers of movies like Paranormal Activity, The Hangover, Jackass and REC.